Now Milestones of Motherhood is with Teika over at the fabulous Mother’s Milk Books undergoing the detailed process of editing and production, and I’ve made it to the other side of the Forest School Risk Assessments, I’m feeling excited to be able to return my attention to finishing and producing my Pregnancy Yoga and Birth Preparation Book. This book has been bumbling along for nearly as long as I’ve been teaching Pregnancy Yoga (trained when my youngest was 8 months and she’s going to be ten this year!!) The time feels right now, and the energy is with me to complete the book just as the darker nights are starting to set in and the energy shifts to focus more upon our inner world. The book, Beautiful Beginnings Pregnancy Yoga & Birth Preparation, brings together everything that I teach in my classes ~ how Yoga can nurture and support us in mind, body, heart and soul to accommodate all of the changes which pregnancy brings, to connect with our beautiful baby and to prepare for labour, birth and motherhood feeling empowered, excited, supported and ready. Alongside the Yoga instruction I wish to include the personal, individual stories of women who have found Yoga to be of support along their journey and who wish to share their experiences to inspire others. One of the most inspiring ways we can prepare to give birth to our baby feeling excited, empowered and ready is to read the positive birthing stories of those women whom have trodden the path before us. 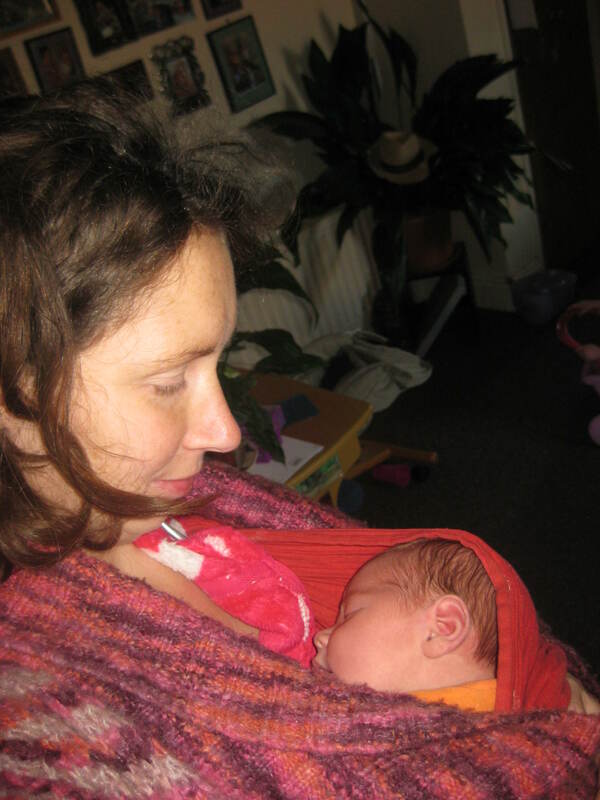 A joy of my three pregnancies has been curling up in bed, perhaps breastfeeding a wriggling, heavy-eyed nursling, and reading the inspirational stories of labour and birth collected by others passionate about protecting the sacred space of birth such as Ina May Gaskin, Jeannine Parvati Baker and Veronika Robinson. And so it is for birth. Whilst every birth is indeed unique, each following a different path and pattern, through reading inspirational stories through the voice of the woman who breathed through each contraction, who felt the force of the surges of strength, power and intensity within her, and who found a strength deeper than all that was consuming her, enabling her to continue, to breathe, to move and to receive her baby, connects us to such a place of primal understanding within our own selves. I envisage the birth stories to be an eclectic collection, with women giving birth in hospital, at home, in Midwife Led Units and somewhere in between, some physiological, hands off births, others with support and intervention. The stories will include C-Sections and VBAC, breech and hopefully some twins. The inclusion of the birth stories will speak the truth of birth to women preparing to walk this path themselves. The stories will speak of the feelings, the fears, the doubts, the pains, the intensity, the joy, the peace, the quiet moments, the roaring power, the ecstasy and the million other emotions and experiences which every birth brings upon us. The idea is to show that whilst every birth is different, there are patterns and themes, there are things we can do to work with ourselves rather than against ourselves, that moments of labour and birth can be difficult and challenging, but that others are pure joy, that we can find strength from within and that we can accept help from others. And hearing such stories, rather than only the media portrayal of women conforming to all of the disempowering stereotypes surrounding birth, our stories will speak of the truth, and will awaken the power of this truth in those reading and preparing to walk this path themselves. If you would like to contribute your baby’s birth story to the book, please do get in touch. It would be lovely to hear from you, and for your experiences of the most intense times of womanhood to awaken and inspire feelings of power, love and potential in the hearts, minds and wombs of many others. Please contact me by emailing via milestonesofmotherhood@yahoo.co.uk with Birth Story in the subject, or through Facebook. I would like to receive the stories by Monday 16th October 2017. I very much look forward to hearing from you and creating a space to hold and share your precious story so it may awaken hope, love and potential in the hearts of others.